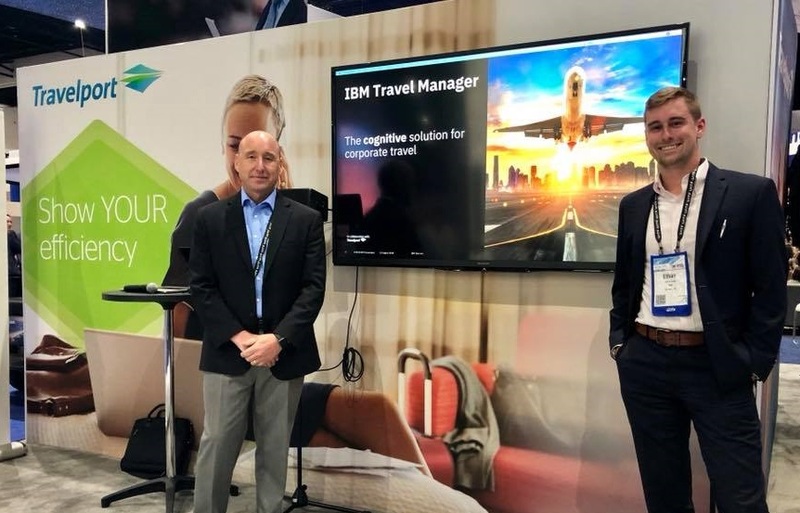 Shawn Busby, Global Category Leader in IBM Procurement Services and Ethan Long, Cognitive Analytics Lead with IBM Travel Procurement, presented IBM Travel Manager at the 2018 convention of the Global Business Travel Association, which took place recently in San Diego, USA. Travel commerce platform Travelport and its strategic technology partner IBM recently introduced the IBM Travel Manager, an industry-first AI platform designed to help businesses manage corporate travel spend. With annual global business travel spend estimated to reach a record $1.2 trillion this year, as projected by the Global Business Travel Association (GBTA), corporate travel managers continue to look for new ways to reduce costs. “While other solutions only provide a fragmented historical picture, IBM Travel Manager combines and normalizes data from all key sources, allowing for more robust insights and benchmarking than other reporting solutions,” said Fiona Shanley, Chief Customer and Marketing Officer at Travelport. The IBM Travel Manager gives users complete, unified access to previous siloed information, which, when combined with travel data from the Travelport global distribution system (GDS), is then used to create real-time predictive analytics recommending how adjustments in travel booking behavior patterns can positively impact a company’s travel budget. Furthermore, IBM Travel Manager features an interactive and intuitive dashboard that offers end-to-end visibility of travel spending, the ability to create alerts and notifications, predictive and pre-defined spending trend analysis, and natural language understanding to analyze text and uncover insights from structured and unstructured data. The product is expected to be commercially available to customers through both IBM and Travelport.